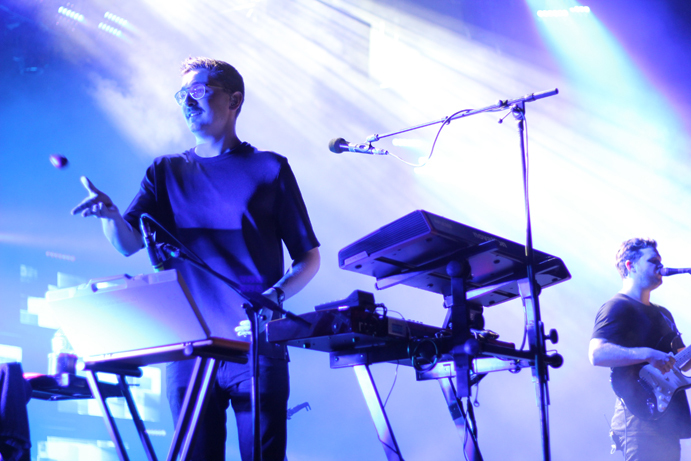 Three weeks before, Alt-J debuted the latest leg of their umpteenth North America tour to a field in a park just outside of Vancouver, British Columbia, Canada. But kick-off shows can be crunchy. 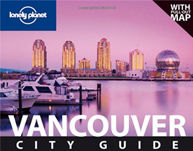 While a city often puffs out its chest and delights at being chosen as the “the first night of the tour!”, it’s never the best time to see any band. Jet lag, discombobulation and frayed edges get smoothed over after a show or two, when muscle memory kicks in. But Day One is about tweaking and fiddling and making new indents in tour bus beds. In Vancouver, singer Joe’s voice was coldy and ragged and he declared it so, right off the bat, but it hardly seemed to matter to the crowd. Alt-J are a pro outfit, and the extra harmonies, epic light shows and the layers layered over layers that make Alt-J the huge success they now are, covered any tracks. Three weeks later, that was all gone. 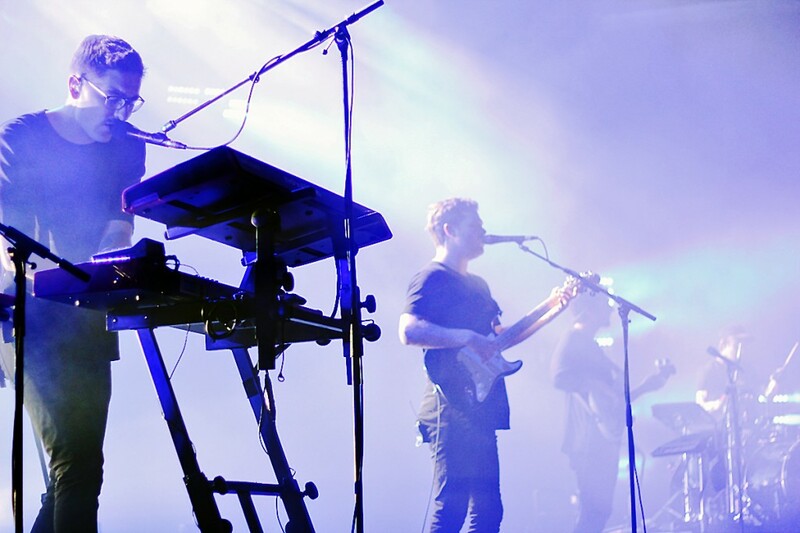 Alt-J stood in a haze of dry ice, in an open-air square at the foot of an arena in New Orleans, Louisiana, USA. And there was nary a flake of crunchy to be found. Joe’s falsetto, once again fully reinstated and complemented by keyboardist Gus Unger’s church-choir harmonies, moved well through opener “Intro”, through “Something Good”, around “Bloodflood” (both parts, flowing), into “Nara” and then leaving it, toward “Matilda”, and to the very last bark bark bark of what we all now call “Ripe & Ruin”. All sounded exactly as it should. If you removed the buzz of dudebros and college kids and discounted the NoLa humidity, it’d be like listening to their catalog at home, on a Bang and Olufsen stereo.